What is your plan for the future? Do you want to stay owner or are you for sale and want to cash out at some time? There are a number of different options, but it also includes making sure that your financial and legal affairs are in order. It’s a seller’s market. If you don’t know, there is a lot of activity in the physical therapy space for mergers and acquisitions. With the current sellers’ market, it’s important to know if you want to sell and if you are prepared to sell. 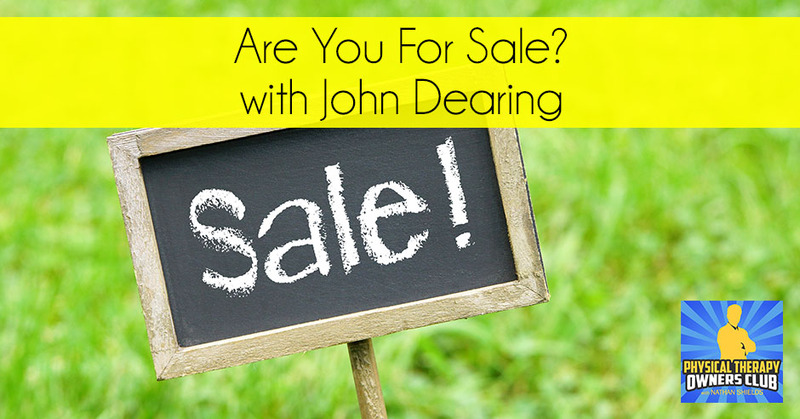 John Dearing lists nine tips for preparing your business mentally, financially, and organizationally for sale. John is the managing director at Capstone Strategic, a leading consulting firm specializing in privately held not for sale acquisitions for the middle market. If you don’t have everything organized and prepared it could take up to six months to do so, and another six months to two years after that to see the transaction go through. Even if you don’t want to sell, going through the steps that John mentions will make your business more stable, sound, prepared for growth, and provide you clarity on what you really want out of your business. My guest is John Dearing. I read about John after seeing his article in Impact Magazine for the private practice section of the APTA. 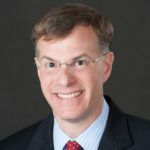 He wrote an article called How to Prepare your Practice for Sale and I thought this would be valuable information for physical therapy clinic owners. I want to set the record straight that this podcast isn’t necessarily for those people who are anxiously involved or wanting to sell their practice. The things we talk about are going to be valuable for anybody who has a business to make sure that you have a few things in place, namely an exit strategy. What is your plan for the future? What do you want to do in the future? Do you want to stay owner or do you want to cash out at some time? There are a number of different options but it also includes making sure that your financial affairs, your legal affairs and organizational structure is in order. 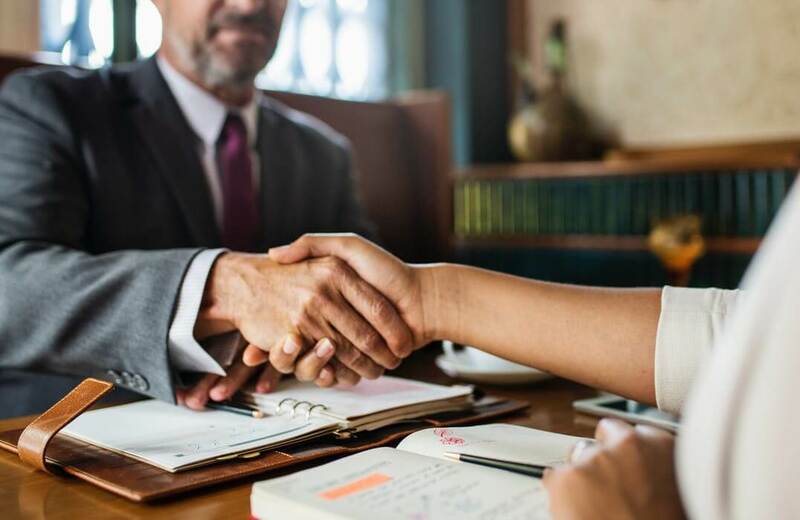 You have a team that you could reach out to your CPA and a business lawyer to help you in those situations that might come up either via emergency or if you’re planning on going in the direction of selling your practice. Having these things in place are infinitely valuable and makes your clinic more valuable when you do have them in place. We’re going to go through a lot of the topics that he discusses in his article into a little bit more detail. You can get the hard copy, if you get the Impact Magazine. John’s also going to be presenting at the PPS conference and it’s a little bit different topic, but nonetheless he will be there as well. He is the managing director at Capstone, which is a leading consulting firm specializing in privately held not for sale acquisitions for the middle market. Since 1996, John has advised clients of public and privately held companies on strategic external growth via acquisitions, investments, and partnerships in a variety of service industries including physical therapy. He’s done some work with some physical therapy groups in the recent future and knows about the market that’s out there right now for physical therapy businesses. He received his MBA from Georgetown University and his BS from Bucknell University and is a chartered financial analyst. I hope you get a lot from the discussion that we have and are able to implement some of these aspects in your business as well. I’m interviewing John Dearing with Capstone. John is currently the Managing Director for Capstone, which provides a lot of consulting in terms of acquisitions, investment, and partnerships in a variety of service industries including physical therapy. John, what kind of work have you done with physical therapy clinics and in the physical therapy space? Thanks for having me, Nathan. It’s a great opportunity to talk about one of the markets in physical therapy. I’ve had a good long run with Capstone and I’ve been here for over 22 years now. I am a partner, one of two partners. Physical therapy is one of the many areas that we work in the vertical industries. The type of work that we’ve been involved in flows across all three pieces of our business. The first being strategic growth consulting, making sure that people are headed in the right direction and thinking about how to prioritize their limited resources to grow their organizations. Tangential to that is preparing owners for growth which is another piece of it. It is the growth in their next chapter of their lives or growth for continuing PTs depending on where that next chapter looks or where they’re headed. Are You For Sale: Physical therapy is one of the many areas that we work on in vertical industries. The second piece of where we’ve helped folks is what I classify as pre- due diligence area, better understanding market segments, how different players interact in the market. On the partnering side, evaluating and identifying potential people to work with on the buyer end or sell side for acquisitions and mergers. That involves a lot of getting to know who the right players are to meet and greet and who the right players are to move forward once you understand whether that’s a good fit. The third facet is on the deal adviser side. All three facets of the business as far as our different areas at Capstone, we’ve worked in the PT space. The initial way that we got into the physical therapy arena was twenty years ago. We worked with a group of owners and leaders at Proaxis Therapy. They’re based in Colorado and South Carolina. We did a handful of transactions with them where they expanded their marketplace in North Carolina, South Carolina and Colorado. Years later, they exited as a group and sold out to one of the private equity owned organizations in the PT space as a buyer. They were growing rapidly. They were ready for sale. Now, they’ve exited that business altogether and we helped them along the way. The latest chapter to you also asked about a year into your current stuff. I know we first got to know each other, when we were asked to speak out in Colorado as a prep for that they asked for an article. That’s through a partnership that we’re doing with one of the old leaders of Proaxis Therapy, Steve Stalzer, whom we’re working with now to continue to expand a joint. I found you through reading your article in the Impact Magazine that the PTA put out for PPS specifically. I was excited to read your article and gain some information, but also excited to hear that you’re going to be speaking at the PPS conference. Is it going to be the same topic? It’s very similar. The whole idea is that we’ll be guiding and providing our expertise to the owners that’ll be attending who are thinking about expansion, planning, and indoor sale category. In the world of mergers and acquisitions, you’re a buyer or seller. From our perspective before you’re a seller, there’s usually a growth trajectory that you need to go on. That’s going to require external growth through Alliance Venture and activity or it could be internal growth and operational changes that you need to handle in order to get to the point where you’re ready to exit. There are lots of different ways to exit. In general, the answer is yes. With your experience and then from your perspective, what is the market looking like right now for the sale of PT Clinics mergers, sales and acquisitions? It’s pretty hot, globally, taken a step back. We’re involved in a lot of spaces, the MNA market in general is very hot right now. There are a lot of money chasing strategic deals, multiples are higher. You got private equity groups, strategic buyers, a lot of family offices that are doing some interesting things. With the debt being cheap and yes, I know it’s ticking up, but it’s still low. Plus there’s a lot of availability of cash to put to work as well so that adds to it. You have the whole demographic trends in the world today, plus with entrepreneurs and business owners, which flows down to your direct question in the PT world. All of those factors are going on in the PT world plus you have new buyers coming into the world of PT that weren’t there to call it ten years ago. All those things are leading to a spike in activity, if you will. One of the reasons that people are excited about this upcoming conference is to share ideas and collaborate and to talk about some of those things that they could think about to do differently to take advantage. Even if it’s not for that individual or that group of owners, understanding what it takes to get ready so when the next opportunity arises they have their ducks in a row so to speak. That leads into my next question, when you’re talking about getting your ducks in a row and preparing for either current sale or whatever your strategy is down the road. Since you’ve worked with some of the PT clinics, what are some things that you’re seeing from the physical therapy owner’s side where they are routinely either performing well, or falling short in terms of being prepared for a sale, merger and acquisition, the different business aspects that they need to address? First is looking in the mirror, when you talk about the negative. They have to look in the mirror and decide what they’re trying to accomplish over what time frame. Until you’re honest with yourself as an owner, entrepreneur, any group of leaders or owners about what you’re trying to accomplish over the next one-year, three-year, or five-year timeframe. It’s very difficult to decide what to do with your time to get you closer. Once you have looked in the mirror and decided that, “I want to go down the trail of exit or I want to go down the trail of growth,” it can be a phased approach. As I alluded to earlier, it could be first phase is getting your house in order on internal operations. Part two is adding some growth through external means and third could be exit or it could be immediate exit. Let’s talk about your challenges that you talked about or alluded to. Some of the things that we’ve seen is people just think it’s going to happen. They have a day job, they’re caring for their patients. They’re dealing with the payers, they’re dealing with HR issues. They’re struggling to make all those things happen. Then you layer on top, “I think it is a good time to exit or grow either way.” They haven’t prepared that adequately and be honest with themselves that they have ready those steps because once they start talking to other people, that snowball starts to build. We’ve seen too many times where owners get somebody interested in their business but they don’t have procedures in place to be able to show them. It’s all wrapped up in their head as an example, there are certain things that need to be documented, processes to get accounting side, having your books in order, making sure the other one that people don’t think about is they might be an owner entrepreneur and they have some PTs on the team. They don’t really think about the buyer’s perspective, which is who’s the next layer, who’s the next leader, where’s the depth in the organization to take over and lead because the buyer may not have that in place already. Those are some initial reactions. It leads right into what you listed out in your article. You listed tips for maximizing the value and success of selling your practice. The first part you mentioned is planning, stepping back and planning early on for the sale of the company. Usually, it’s not all of a sudden like, “I want to sell my clinic today.” If that’s what’s in mind then you need to start planning that well in advance. You even mentioned in the article that it can often take one to two years to even be ready for sale. You also want to have enough of order to things because things happen. You have to be able to act and want to always have a position of strength. If you are in the PT market, it’s especially critical because service-oriented people want to tie the value of the business to the humans involved. You want to make sure that you are “negotiating from a position of strength.” The only way to do that is to have some things done ahead of time. It takes a minimum of six months to get through a deal. The first part of the planning is figuring out what you want out of a transaction. You’ve got to think about do you want the flexibility to back off of your hours? Do you want to find a buyer that’s going to allow you to walk away in a certain number of a period of time, of only a couple months versus two years? The planning and knowing even before you need to do something is absolutely critical. For our audience, even if they’re not interested in selling their practice at this time, it makes good business sense to go through this same criteria as if you were going to sell to have your business in order. This is not only for those emergency situations, but also to know that you’re running a well-run organization, have your ducks in row and know your numbers. Forcing a little bit of planning as if you were going to sell can only benefit your business. It leads into the second part towards the end of your answer there. You got to know what you want. I was talking to a friend last year about the possibility of selling physical therapy clinics. I asked him if he was interested in ever selling his clinic and he said, “Why would I want to sell?” I said, “I can’t answer that for you. That all depends on your exit strategy. Do you have an exit strategy?” It could be that some guys haven’t even thought that far down the road. It’s important too at any stage of ownership of your clinic to know where you’re going and then know what you want exactly. Towards the end of your answer is, do you want to be an employee going forward? Do you want to take cash off the table because the buyer’s going to want to know where you’re going to be? Is this going to be a 70/30 buy-out and you’re going to be an ongoing owner for the next few years or manager? Are you hoping to cash out completely, stay on for the transition, and fall off the face of the earth? You got to know what you want as you’re going to present yourself to buyers. It also helps if you can come up with those three to five gating questions for yourself when people do approach you. Even if you’re not actively thinking about exit, when people approach you, you want to keep them on the hook, so to speak, for future discussions, even if the timing’s not right now. If you have three to five gating questions, then you can find out what their perspective is on as you suggest how flexible they are on continuing or not. Do they pay a lot upfront versus aren’t out into the future? Whatever your gating questions could be knowing what that equation looks like with some nebulous flexibility on the fringes, that allows you to have that conversation, “I’m not for sale now, but I’m willing to listen and get to know each other.” Down the road, if and when it makes sense, it makes sense to have that investment in the relationship to at least know each other at some level. It’s helpful when people come at you as well opportunistically. Having some gated questions, your answers flow right along with your article. You go into using criteria with what you want to know, what are the opportunities there for you? What are the opportunities there for your staff? Is this a cultural alignment? A lot of people would say it’s an imperative to be value aligned and having value-based discussions with buyers going forward. Using some criteria as to what you want to see from a possible sale. 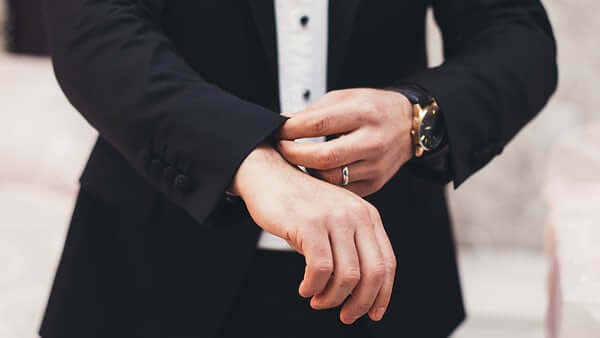 If you have the criteria and characteristics of an ideal partner and you have some idea already about what you’re trying to accomplish out of a potential transaction even if it’s in the future with those two short lists, as an owner of PT practice, you have some of that figured out already. That allows you to really get more comfortable with the decision. It can it become very difficult because it is emotional as you move forward. We try to increase with the criteria usage and the definition of what your ideal potential buyer or seller, depending on the case. You want to try to figure out how to evaluate them in an objective way because emotions come into play at some point even it’s not day one. It could be day 120 when you’re negotiating and you’re figuring out. This has some serious impact on the people that I’m going to be seeing at church, in the community, or at the ball field that I’ve been working with for years. You got to think that thing through. It helps you in a systematic way. Think about exit and also serves you well when you get into dialogues with potential buyers to figure out whether they are a good fit culturally and otherwise, economics for you and your partners or staff. The other piece of it is you must have your pieces of the equation figured out too. It’s one thing to evaluate the other side, but you also need to have the given on what you want to make sure you’re trying to accomplish out of the transaction. Price is one part, it’s not everything. It’s good to figure that out because in the past, Will and I had been approached at least three times for sale of our clinics over the past five or six years. We didn’t know what we wanted out of it because they kind of came out of left field. It would have been nice to think about that ahead of time because these guys were coming at us with 70/30 purchase options. That meant that we were no longer the owners, they had majority interest and we couldn’t say what was going to happen at our company. We essentially become directors or CEOs/president of this entity going forward, and we answered to somebody else. That was one of the deciding factors and we don’t want to do that. It’s when those opportunities are knocking at your door though, you could quickly get to beyond, “That’s nice. It’s nice to be wanted. At the same time this and this are important to us.” If it’s three years down the road, so be it, but at least you know about it. The other piece of it is, I’m not trying to say to lead anyone on, but it’s a situation where you want to at least know about the opportunities and catalog them at a bare minimum. At a maximum, they may surprise you and they can answer every last question that you had been thinking about. If someone left a big pile of money on the door, I’d hand them the keys, but it helps to have that criteria. We try to get clients to be proactive, define the criteria, and go find the right people. We know that there are those over the transom opportunities that are coming at owners all the time and entrepreneurs. You’ve got to have a systematic way to quickly pursue immediately, hold, or pass. Hold a sign if it doesn’t match up with your timing rest of your life. Are You For Sale: We try to get clients to be proactive, define the criteria, and go find the right people. One of those main criteria is price. Maybe you can help those physical therapy owners that don’t know what EBITDA is and help because price is sometimes determined off of EBITDA. It’s a fun metric to play around with earnings before interest taxes and amortization. Depreciation is usually minimal in the PT practice world. You start with your earnings and you start adding things back noncash items, to get to an amount of a hypothetical cashflow that the operation, the PT practice is providing to its owners. For example, you could add in things like additional owners benefits and comps that comped it is being a shareholders or owners of the PT practice to get to an adjusted EBITDA if they’re running automobiles or things through the practice for business expense that wouldn’t necessarily continue on. There are some options there about adjustments, but that is a short and a quick way to say, “Here is what the adjusted EBITDA is today.” Then you put a multiple on it. As you get larger in the PT practice, much like any other space, larger is better in the eyes of a buyer because there’s infrastructure and process implied there. Your multiples go up as you get bigger. That’s one argument toward you wanting to have a proactive growth strategy before you think about exit, because they’re going to want a growth trajectory no matter what. Then the debate becomes which EBITDA are you measuring? Buyers are going to want to look at the actual EBITDA that you’ve delivered as an owner and entrepreneur. On the other side, as a seller, you’re trying to create a story and mechanism that it’s increasing all the time and you’re buying the future growth of the business. By the way, myself as an owner, if I hold onto this, then keep going on this growth trajectory. I’m pretty darn confident that that’s going to continue to grow over time. That’s your baseline for discussion around the difference evaluation methodologies. The other side of the story is I’m not a big advocate of multiples in general, multiples of EBITDA or any other multiple that’s out there in any market. I don’t like it because it breeds contention and breeds a lot of debates about the numbers. What I would prefer to look at is more of a discounted cashflow, jointly between buyer and seller of what this operation is going to look like together, moving forward. Then, both sides can start to build a joint case together. That’s usually the way to bridge the gaps on valuations. I advise clients that when people throw out a little bit of multiples, great listing but it leads to a series of seven or eight questions to follow up on one definition. Everyone can define the add backs and define the EBITDA in different ways. What’s the connection between net profit and EBITDA? Is it very significantly? It does in industries where there’s more interest, depreciation and amortization. In the PT market in general, there’s not going to be a massive differential there. For our audience who don’t know a lot about EBITDA, they can look at their net profit on a P&L and probably get a pretty good idea of where they’re at. They can with the addition of those owner benefits. That leads into the next thing of course. That’s getting your books in order, knowing what your financials are, making sure what your ad bags are at any given time, your cashflow, your profit and loss and your balance sheets. It’s critical and a lot of people are excelling and moving into QuickBooks, beyond into some of the specialty accounting packages. The reality of situation is that buyers that are kicking the tires and looking at your business are going to want a certain level of certainty. We always advocate that folks get at least invest one time in a reviewed statement with an accountant, having an outside party look at the numbers and provide at least one round. That comes back around to the initial assessment as well. It’s good to have occasionally as a PT owner, have outside parties looking at your business, providing you that perspective to say this and have you thought about it? You’ll get that from that particular process going through just talking to an accountant if you haven’t had to do that outside of your tax returns and get that next level. The other thing to think about that’s tangentially related is the other back to the business value. People are going to look at your books, how you’re tracking with all the payers, the mix of your business and how things are interrelated. Both your mix on a type of patient, the type of products, the type of services and the mix of your payers. All that also leads into having your books in order because you want to be able to answer in a robust fashion when people ask you about your mix of business in different ways. You want to have your finger on that as soon as quickly as possible without a lot of caveats. It’s not just the income statement, it’s also the backup when you’re dealing with these third party folks in your marketplace. I’ve noticed that personally is that when people come at you, they want information rather quickly if you can have your P&Ls well put together. If you can have your payer mix available, which most of us our EMRs should be able to provide that for us. If you can have your payer mix fairly readily available as to where your patients are coming from, whether it’s from insurance companies, doctors, or from cash pay services. Then also we are going to want to know and they’re going to want to see when you get further down the road, all of your contracts and agreements. That’s part of the due diligence phase, but it can really slow down things quite a bit if you don’t have all your contracts properly filed and readily available. 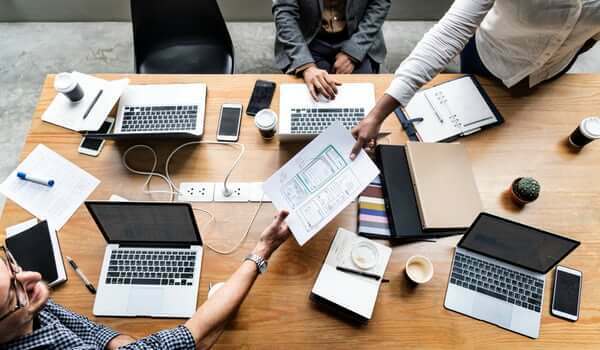 Whether that’s with insurance companies or vendors that you use or the employment agreements that you have with individual employees, especially profit-sharing agreements that you have with individual employees. Any contract agreement documentation that you have that would relate to an expense of your business should have on file readily available. It’s just good advice. Having a central repository of all contracts so you’re not trying to piecemeal it together saves a lot of time, but it’s again, back to your original comment. A lot of this type things that we’re talking about to get ready for the process will benefit you anyway in your businesses. It’s just leads to more efficiency if you have that central repository that will add to your laundry list there of the different contracts into organizational documents as well. They’re going to want to make sure that the things absolutely at the beginning of time that you have those documents and any updates as well. License is as well as another subcategory of proper documentation. Employee records is another area that always causes some anchors during the due diligence process. Are You For Sale: Having a central repository of all contracts so you’re not trying to piecemeal it together saves a lot of time. It goes back to the foundational, having those LLC or a PLLC organizational agreements put together. You might think those are just one-off things, but you need to keep those on file and they’re important. Your tax identification number forms, everything that created you as a business needs to be found and kept in a solid place for easy access. 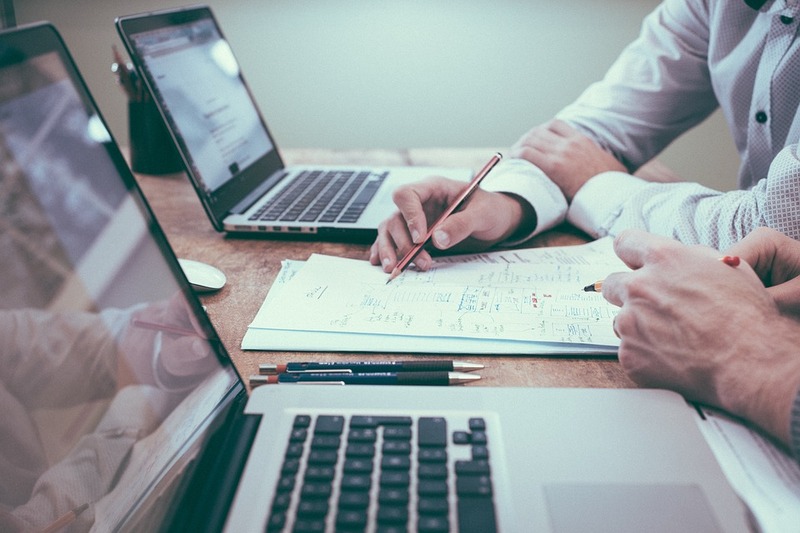 When you’re talking about having an occasional audit, it’s important then to have an appropriate tax and legal team on your side, someone that can be trusted and experienced as a CPA and a lawyer that can advise you should you start going down this path. It hoofs you also to educate yourself on the tax aspects as well. This isn’t something that can lead you down a path of doing things differently as you prepare for sale back to that earlier one to two years to get ready. You may get some sound advice that tells you to go a different direction with your org structure and the way that the entities are set up that will allow you to get additional after-tax benefit when you do access. It’s not one of those things that you’re at the doorstep and you love the potential buyer that’s called you and they would do and you’re ready to go to start to think about. You’ve got your team set up because one, they’re going to give you sound advice hopefully but two, it may lead you to do some things differently as you operate your business day to day. On the attorney side, I do need to add specifically but you want an attorney that knows how to spell MNA. It’s not your normal family attorney who is typically going to give you the right advice here. You want to have somebody that knows about getting deals done. Some attorneys, unfortunately that I’ve seen involved in MNA are guiding the entrepreneur because they’ve been guiding the entrepreneur for years and years, which is great. I’m not saying to kill that relationship as much as I’m saying make sure that you’re getting solid advice on the deal side of things. I know people always that’s going to cost a lot of money, but it will make the negotiations smoother. It will make the documentation smoother. There are a lot of great things to have with when you have a good lawyer, that’s for sure. It’s one of those situations where unfortunately some people wait until the last minute to inject the attorney to draft the documents. At that stage, they’re trying to catch up and it’s too late. On your next step, you talked about creating a strong team. Talk to me a little bit about that. The main thing here is back to that depth and breadth of your staff and your team and the folks that you’re working with. When the outside party comes in to evaluate not just you and your books and the data room that’s going to be set up or the data that you’re sharing, they’re going to be evaluating the operations and the people. As much as you want to tell everybody that the business is centric to you, because that’s going to be a big risk taking the other side, the buyers aren’t going to want the business to be centric around you. They’re going to want to see depth. Otherwise, they’re going to put a high discount on your business. This section is all about making sure that you’re developing the human talent in your organization, elevating them, giving them additional responsibility and making sure that the appropriate time that their messaging is well to the potential suitor the importance of their role. It’s posturing and positioning, it’s leadership training. It’s making sure that that particular avenue again, in the service business, you’re not making widgets and the physical therapy world. It comes down to the humans, the interaction with the patients, the cultural aspects of the team that’s been developed and how you interact with the patients. That’s going to be as important as the financial results of days of old. It goes back to my slogan for the podcast, it’s reach out step out. Stepping out specifically means stepping out of practicing full time so that you are not the center of your business. If at any time one of your focuses is to sell your business, you being the center of your business devalues it significantly. You want to step out and take advantage of the opportunity to develop a team underneath you that has significant responsibilities. If you ever did step out or transition yourself the business would continue to not only move on but would continue to grow. You’re touching on when people asked me the top three areas for value creation in a private practice, it’s the depth of the team, the growth story, and the mix and the process kind of the three and four there. If they see being the other party sees a risk there, you’re going to get dinged on valuation and deal structure. They are looking to grow. Otherwise, it wouldn’t be contacting you in the first place or have an interest. They want people on their team that have a desire to grow in that frame of mind. It exponentially increases the value. Towards the end of your article, you talked about fixing abilities and considering engaging in MNA advisor. Fixing liabilities was simply exactly what it is. Making sure your taxes are paid for, everything’s up to date and you don’t have any outstanding litigations that are going on at any given time. Is there more to it than that? The other part is thinking through when and if you do have red or yellow flags that are going to bubble up in the eyes of the other. I want to figure out the right story lines and thinking through how you’re going to articulate those challenges to the other side and never, ever be perceived as hiding something. You’ve got to figure out the best way and the right timing and the process to bring that up. It’s one of those things where the worst thing that can happen is you go down a path and then all of a sudden feel like they found something. You’re not prepared, and you haven’t already addressed it. There’s always something from take a silly one that we dealt with last week is other family members on the payroll, health insurance and things like that. Usually you can work through that one, you don’t want it to be a surprise. There are ways to articulate things to folks. You’re on the right track as far as the licenses and the liabilities. The other one is back on HR and employees, that’s a big one when they dig into those files, if you’ve got complaints against you. What are your recommendations then as far as engaging in someone who can advise you from MNA advisor, broker or something like that if someone’s looking to sell? We look at it as consulting is the best way to start when you’re getting solid advice and providing that independent outside perspective and the assessment that’s usually where things can start there. Then, it’s a mutual assessment on where it goes from there. Do you need assistance on getting the numbers straight? Do you need assistance to get your ducks in a row and on various aspects of the operations? Do you need assistance on getting the valuation done? Do you need assistance thinking through even taking a step back on the foundational side? Do you need assistance thinking through what could these chapters in my life look like? One of them being exit right back to your exit strategy. Have you thought about that yet? What could that look like? A lot of starter engagements for Capstone with our clients is really the foundational side and the assessment side and thinking through counseling how a PT owner or set of owners might think about evaluating the opportunity to exit. It might be that it’s not the right time for good reason, but you at least get that perspective to what do I need to do if and when. That’s my first stage. Are You For Sale: When you’re getting solid advice and providing that independent outside perspective and the assessment, that’s usually where things can start. If they don’t go down that road, they even go so far as to just get their ducks in order with the help of an advisor or a consultant not only puts together what they’ve done in the past but maybe even put together a strategic plan for the future and the growth that can only benefit you going forward. When people first talk to us, they’re usually one of two buckets. One, they’re already engaged in a dialogue with somebody. They’re scared and not sure what to do about it. They need some immediate advice and expertise. The story is they’re thinking about what that next step could be. An exit is one of the five options and the other four are growth oriented so that’s typical for us and we talk about timeframes and prioritization of time. I’m sure you would recommend that whoever you are, that you start thinking about this well before the dialogue starts and maybe even towards the beginning of your formation of the business. Ideally, you start with some structure or framework right off the bat for the benefit of your company and also for your professional growth. That’s easy to say, it’s when you get the realities as entrepreneur entrepreneurial venture underway and your day to day operations get in the way because you’re trying to do everything right. You’re trying to win the hearts and minds of everybody that you’re doing business with and make sure that you’re training everybody. That’s advice for the reality is you usually don’t come out that way. That’s why people like you exist, so you can help people who are busy and running all different directions to put their ducks in a row. Ducks in a row first taking a step back. Thinking about what that next chapter could look like. If people wanted to get in touch with you then, John, how would they go about that? Our website, www.CapstoneStrategic.com, is a way to get ahold of us. My phone number is 703-854-1910. I’m happy to chat. My email is JDearing@CapstoneStrategic.com. All mediums are available. I highly recommend anybody to have the hard copy. You can look at the Impact Magazine article that John wrote and also look out for him at the PPS Conference at the Broadmoor. We’ll look forward to hearing what you have to say and sharing for sure. Thanks, Nathan. I appreciate that. I’m looking forward to some good dialogues out there as well, and if anybody wants to chat, I’m happy to chat. John has played a key role in the success of Capstone since 1996. John leads Capstone’s client engagement teams and operations while advising clients on strategic external growth (acquisitions, investments, and partnerships) in a variety of service and manufacturing industries. John’s experience transcends numerous industries including: contract manufacturing, medical devices, life sciences, physical therapy, food processing, specialty chemicals, filtration, biotech, precision metal components, transportation and healthcare. 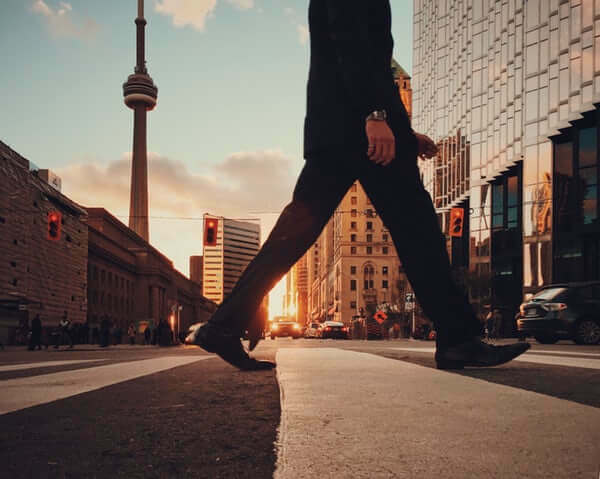 John leads investment and strategic growth initiatives for private and public corporations including holding companies and international clients. He gained additional consulting experience and privatization expertise while attending the Institute of European Studies in Vienna, Austria. John’s background also includes credit assessment and loan officer duties with the Export-Import Bank of the United States, The Americas Division, where he developed international banking and finance skills. John received his Master of Business Administration from the McDonough School of Business at Georgetown University and his Bachelor of Science in Business Administration from Bucknell University. He is a Chartered Financial Analyst (CFA), member of the Washington Society of Investment Analysts and the founder of an investment partnership. In addition to helping organizations grow, John enjoys spending time with his wife, son, and two daughters. He serves as coach and cheerleader for their many activities including soccer, baseball, basketball, and scouts.